Employers today recognise that excellent Project Management skills are a vital requirement in todays workplaces. The creation, implementation, management and delivery of a successful project cannot be underestimated. Delays or failures within a project could prove costly to a business so having someone in control of a project who has the correct skillset to run, monitor and communicate a project is essential. This project management course has been designed to follow the official, widely recognised Prince2 standard. Prince2 (Projects IN Controlled Environments) is a hallmark in project management and its principles are acknowledged as being best practice in project management. In this Prince2 Foundation course youll start right at the beginning and look at principles of organising and starting up a project, Youll work through initiating a project, assessing risk, monitoring progress, managing change right through to closing a project. 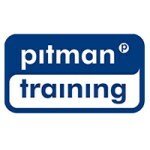 At the end of the course, youll undertake an assessment and on successful completion, gain a Pitman Training Certificate to verify your skills. Youll then also be in the best position possible to go on and sit the Prince2 Foundation examination* if you want to. To discuss this, or any of our Project Management training courses, call our Course Advisors today. * Please note this examination will need to be arranged and paid for separately at an appropriate Prince2 registered examination centre.